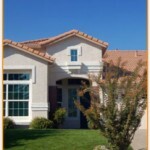 At Mark Bellingham Painting, we have a meticulous process when painting our customers’ homes. We don’t cut corners. We use only the highest quality products and industry techniques to provide an outstanding paint job that we can both admire. Please take a moment to view our processes below for painting both the exterior and interior of your home. Interior and exterior painting are very different animals. Many companies may be able to paint the exterior of your home but are not qualified to do the interior. 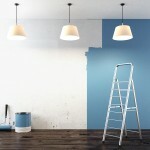 We specialize in the painting of furnished interiors. We will carefully move, cover, and replace everything. There is nothing for you to do but choose the colors! And we can even help with that. Finesse, sharp lines, even application of paint, attention to detail, and cleanliness are all key. It is particularly important in remodeling and new construction work to have excellent craftsmanship. Poor brush strokes and uneven roller marks are magnified on new services. We promise to be considerate, neat, clean, and friendly! Haven’t chosen colors? No problem. We will provide extensive colorcharts and have excellent color consultants if necessary. 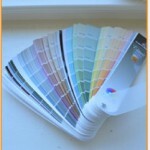 We will also apply samples for you to consider before you commit to a color. Have a color but don’t know what it’s called? We can match any color you give us. We will move or cover furniture and appliances so that they won’t be damaged by paint or dust. All loose, peeling, and blistering paint will be removed by specially shaped hand scrapers. We will also hand sand using various grades of sandpaper, and a variety of power sanders. Loose and deteriorating caulk will be removed and replaced with new caulk. All wood will be prepped by hand sanding using various grades of sandpaper and a variety of power sanders. Finesse, sharp lines, even application of paint, attention to detail, and cleanliness are all key. Poor brush strokes and uneven roller marks are magnified on new services. All paint manufacturers make several grades of paint, from premium grade (the best) to contractor grade to homeowner grade for the do-it-yourselfer. We use only premium grade paint. Craftsmanship and attention to detail is the trademark of Mark Bellingham Painting. We will transform your home or business into the ultimate vision of your home. We will wash the house to remove all the dirt and grime and to neutralize mold and mildew. The detergent used is phosphate-free and will not harm landscaping or the environment. Neutralizing mold and mildew is extremely important. If mold and mildew are not neutralized, they will continue to grow underneath the new coats of paint and cause the new paint job to fail permanently. Additionally, mildewcide is contained in the paint we apply to help retard the growth of new airborne mold and mildew. All loose, peeling, and blistering paint will be removed by specially shaped hand scrapers. We will also hand sand using various grades of sandpaper, and a variety of power sanders. If necessary, loose and broken window glazing will be removed. Wood sash will then be primed and reglazed. Loose and deteriorating caulk will be removed and replaced with new caulk. Large seams or gaps will first be pre-filled with compressible foam and then caulked. Special attention will be paid to areas where water may leak into the house, such as above window frames. Nail holes and other small holes will be patched and primed. Raised and rusty nails will be countersunk, patched, and primed. Bare wood will be primed with a stain-sealing primer. Horizontal openings under boards in lap siding are normal and allow for the house to “breathe” and prevent moisture from being trapped in the walls. They will not be caulked for this reason. All loose, peeling, and blistering paint will be removed. Open cracks and severely uneven surfaces will be repaired with clastometric caulk and patching compound. Deep and wide cracks will first be bridged with gauze tape to prevent cracks from reopening. New masonry will first be allowed to thoroughly dry and cure before being primed with masonry sealer. New metal will first be etched to remove a thin layer of factory oil that would prevent proper adhesion of primer. After etching, a rust–inhibitive metal primer will be applied. Rusty metal will be treated with “Rust Destroyer” after being wire brushed to remove loose rust. A coat of rust-inhibitive metal primer will then be applied. Surfaces that are bare, have been patched, caulked or filled will have a premium quality stain-sealing, full-bodied prime coat applied, tinted to the paint color. Premium quality professional grade Benjamin-Moore or Kelly-Moore paint will then be applied. All paint manufacturers make several grades of paint, from premium grade (the best) to contractor grade (mostly for new “tract” homes) to homeowner grade for the do-it-yourselfer. We use only premium grade paint. Sidewalks, driveways, and grounds will be protected. Plants, shrubs, and trees will be tied back and covered. Care will be taken to keep interference with neighbors to a minimum. The job site will be cleaned up and all trash will be removed at the end of the job. Any paint drips that fall on windows will be removed. We will leave touchup paint in marked cans of all colors used on your project. At the start of the paint job, we will point out any carpentry, metal, door/window or other repairs that you may want to have corrected. If these repairs are not too extensive and don’t involve building permits, we can usually do them. We have an excellent carpenter on staff.